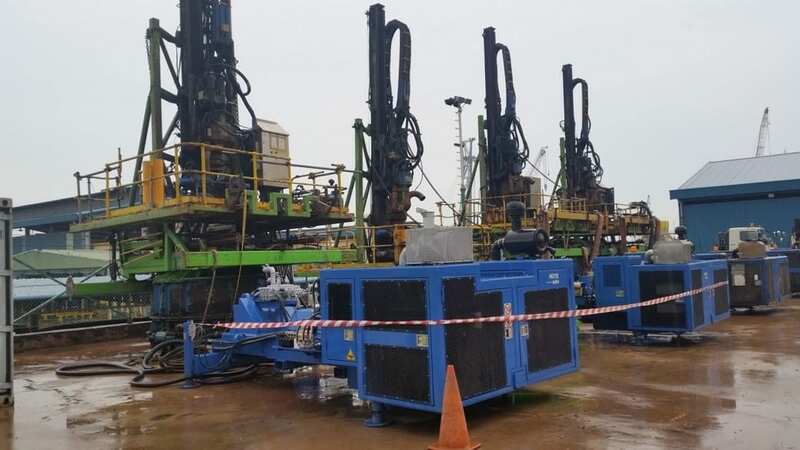 Drill mast type DM 300 with feed cylinder 6435/4300-2. Retraction force 200kN. Pull downforce 100kN. Feed speed 20m/min. Rotary head, Double. HG32/HG14. Clamp closure force 250kN. Maximum torque 36kN. Maximum rotation speed 40rpm. 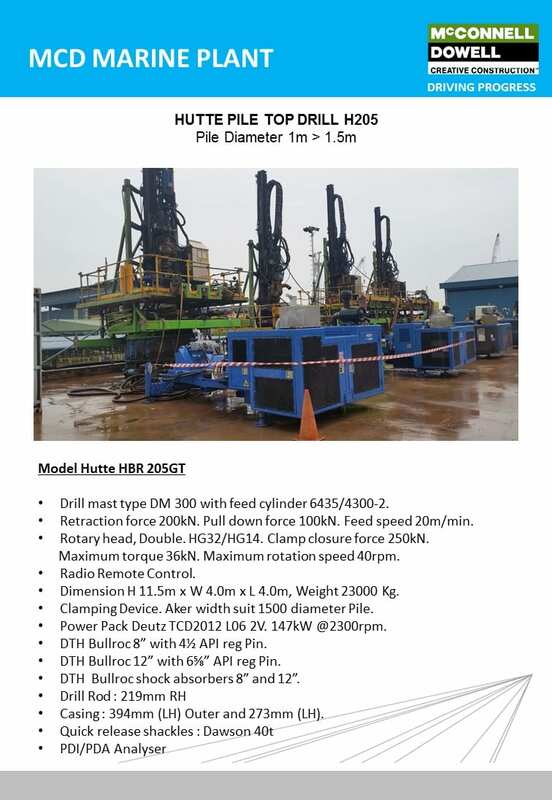 Dimension H 11.5m x W 4.0m x L 4.0m, Weight 23000 Kg. Clamping Device. Aker width suit 1500 diameter Pile. Power Pack Deutz TCD2012 L06 2V. 147kW @2300rpm. DTH Bullroc 8” with 4½ API reg Pin. DTH Bullroc 12” with 6⅝” API reg Pin. DTH Bullroc shock absorbers 8” and 12”. Casing : 394mm (LH) Outer and 273mm (LH).